This collection of Ludwig Lachmann's essays challenges contemporary attitudes to economics and seeks to apply an interpretive approach to the discipline. The essays, spanning six decades, address a wide range of issues in microeconomics, macroeconomics, methodology and the history of thought. 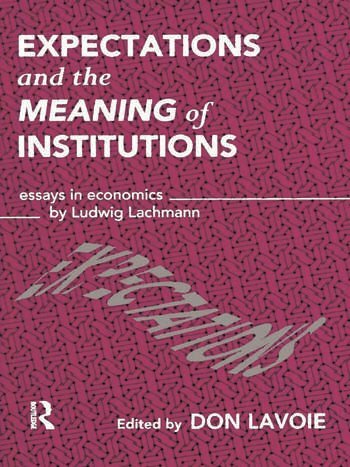 They outline Lachmann's approach to economics, with the emphasis on the meaning of human institutions in a world of unpredictable change, rather than on quantitative and stable relations. Collecting Lachmann's most important work together for the first time, it includes two essays never previously published.